MIAR International School System is proud to announce its second project i.e; PASK.The Pak. American School of Knowledge (PASK) Eminabad provides a quality education that meets international standards while maintaining social morals and national values. Now the parents of Eminabad and the neighbouring areas will not have to choose between quality education and religious values for their children. Parents can have both options at Pak. American School of Knowledge. State of the art education is being provided at our school. English courses will be taught by American teachers via intenet screen in the presence of local class teachers. We have a computer lab, where the students will learn computer skills from early age. The curriculum will emphasize Math, Science, English and critical thinking in all subjects. Technical skills for the new green economy are encouraged. Facilities include carpeted classrooms. Also there is a spacious playground area with merry-go-round, slides, seesaw and a monkey bar. The future plans include a football ground. Montessori educational system is our pride. 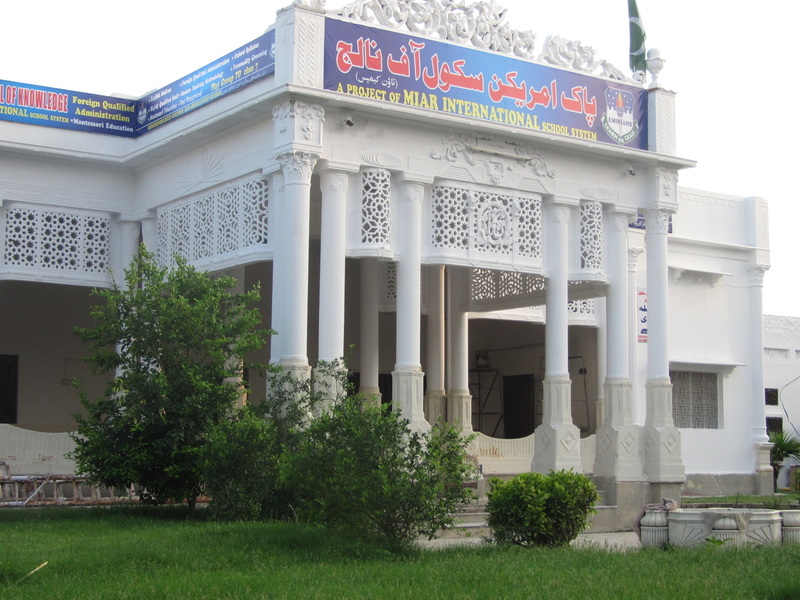 The school is centrally located at the heart of Eminabad Town.